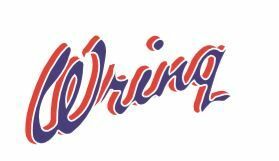 Based in Bristol, the professional team at Wring Builders Merchants provides excellent building materials for home and trade. We’ve been established since 1927 and we became a limited company in 1955. Our local, family-run business offers an excellent standard of customer service and we’ve been undertaking this line of work for more than 50 years. No matter what you need, our comprehensive stocks have got you covered. Call us today or visit our yard to speak to an experienced member of our professional team.